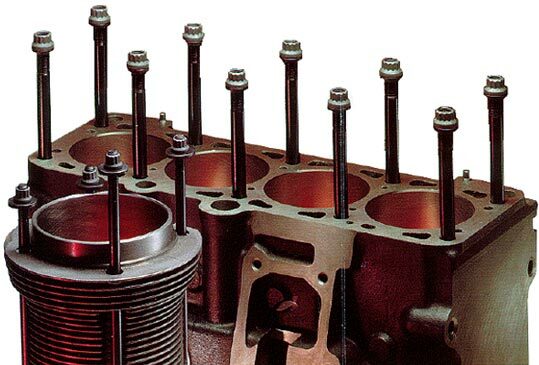 RACEWARE™ offers only the finest Aerospace Quailty head washers to properly distribute the clamp force across the cylinder head to eliminate cracking, warped heads and head gasket leaks. These Porsche 911/930/964/993 head washers are CNC Machined from solid billet bar stock for maximum strength unlike typical head washers that are stamped from soft sheet metal. Stamped washers have a razor sharp edge, unlike RACEWARE™ Hardened, Billet Head Washers which have a proper machined outside chamfer to prevent stress risers in aluminum cylinder heads that can lead to cracks and failures. RACEWARE™ washers are heat-treated for maximum strength and durability. Using these properly designed RACEWARE™ head washer can prevent expensive engine repairs. RACEWARE™ Aerospace Quality Engine Fasteners are an important necessity in today's engines, especially if you are Modding the engine for increased performance. RACEWARE™ Aerospace Quality engine fasteners can increase performance and reliability in your German engine by preventing head gasket leaks, by reducing bearing wear and crankshaft flex. In addition, unlike weak, flimsy one-time use stretch-bolts, RACEWARE™ engine fasteners are 100% re-usable so they save you time and money, and prevent expensive engine failures.